On the night of 9/10 November 1938, Nazi Party members, the Hitler Youth and other people went on a government-sanctioned rampage against Jews throughout Germany and Austria. That night 80 years ago is remembered as Kristallnacht or the ‘Night of Broken Glass,’ and many say it marks the unofficial beginning of the Holocaust. Jewish-owned businesses, schools, hospitals and synagogues were set on fire, were ransacked and had their windows smashed. Within two days, over 7,000 Jewish businesses were destroyed or damaged and 1,000 synagogues throughout Germany and Austria were burned down. Up to 100 Jews were killed that night, and 30,000 Jews were arrested and deported to ‘work camps’ that soon became death camps. 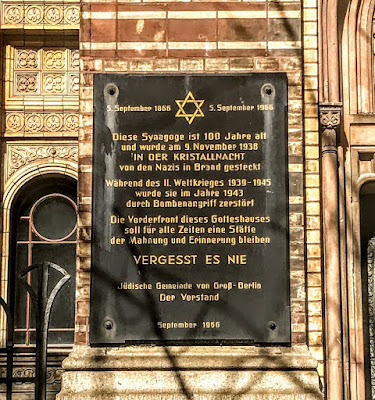 The New Synagogue on Oranienburger strasse narrowly escaped being destroyed that night through the brave intervention of a district police chief, Wilhelm Krützfeld. 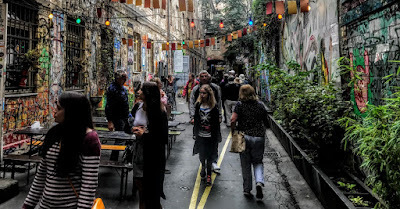 It is around the corner from Tucholsky strasse, where I was staying in Berlin. 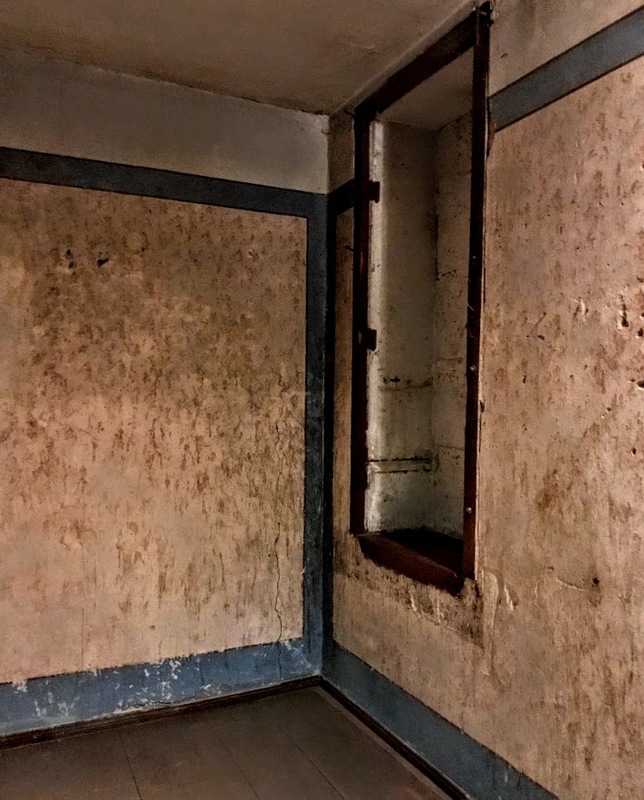 I was visiting synagogues, museums, houses, factories and hiding places, and the former concentration camp at Sachsenhausen. The Jewish community had an oft-interrupted presence in Berlin since the 13th century. 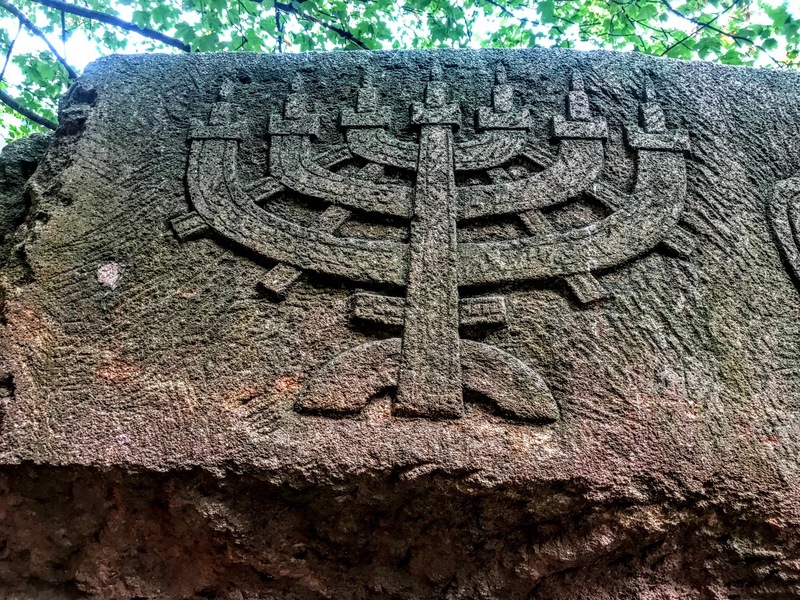 For centuries, Berlin had a vibrant Jewish culture, and was the birthplace of important Jewish movements including the Jewish Enlightenment in the 17th century and the Reform and modern Orthodox movements. When the Neue Synagoge or New Synagogue opened in 1866, it was seen as an architectural masterpiece. The opening was such an important event that the attendance included Count Otto von Bismarck, soon to be the first chancellor of the German Empire. The name ‘new’ refers to the reformed, modern rites and practices. The building was designed by Eduard Knoblauch and completed after his death by Friedrich August Stüller. It was designed in the Moorish style to resemble the Alhambra in Spain, and could hold 3,200 people. The Jewish community continued to thrive in Berlin until the rise of the Weimar Republic: 160,000 Jews were living in Berlin in 1933. 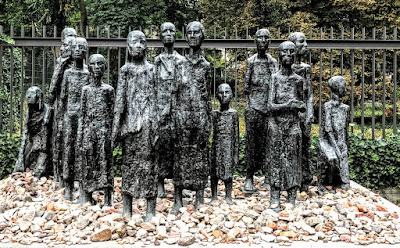 But over the next 12 years, the Holocaust reduced the Jewish population of Berlin to 8,000. Many of Berlin’s Jewish institutions, including synagogues, schools and cultural sites, were destroyed during World War II. In the end, even the New Synagogue was damaged severely in the allied bombing of Berlin in 1943. Nine million people, including six million Jews, were systematically murdered during the Holocaust. A room in the Memorial Information Centre and Museum on Cora-Berliner-Strasse has a continuous audio-loop reciting the names of every known Holocaust victim. It takes six years for the audio loop to complete one cycle. 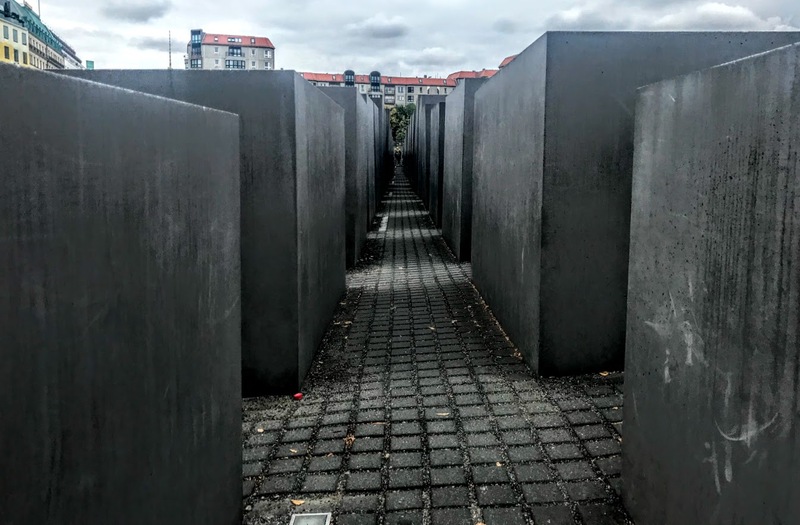 Since the reunification of Berlin and Germany, the German government has worked to make Berlin a city that once again welcomes Jews, and the city and other foundations have created sites and memorials throughout the city to honour the six million Jews murdered by Hitler’s Germany. The Memorial to the Murdered Jews of Europe, or Holocaust Memorial, is near the Brandenburg Gate in the city centre. It was designed by the US architect Peter Eisenman and unveiled in 2005, to mark the 60th anniversary of the end of World War II. It was built on land once known as the ‘death strip,’ between East and West Berlin. This memorial, covering 205,000 sq ft of unevenly sloping ground, is filled with 2,711 unmarked grey stone slabs arranged in a grid pattern, each with a unique shape and size and some as tall as 13 ft. The number 2,711 also corresponds to the number of pages in the Talmud. 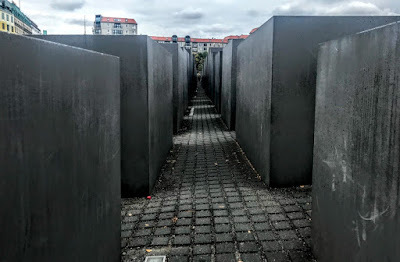 Wandering among the slabs – did they remind me of tombstones? 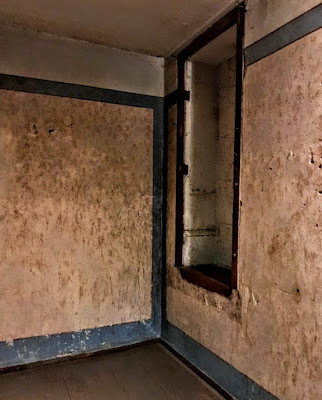 – is unnerving and claustrophobic, and a reminder of the mass scale of death in the Holocaust. The ‘Empty Library’ at the Bebelplatz, near Humboldt University, was designed by Micha Ullman to recall the events on the night of 10 May 1933. This underground installation in the middle of the square is a sunken glass plate that provides a view into a room full of empty bookshelves that could accommodate about 20,000 books. The Nazi Propaganda Minister, Joseph Goebbels, organised a nationwide book burning that night, when more than 20,000 books were thrown onto a massive bonfire in the middle of the Bebelplatz. The books included works by journalists, writers, scientists and philosophers, as well as works by Jewish writers, including Sigmund Freud and Karl Marx. In the middle of busy Hackescher Markt, a courtyard off Rosenthaler strasse has an independent cinema, a café-bar, an art and book shop, artists’ studios and three small museums. The Otto Weidt Workshop for the Blind was once a small broom and brush factory. 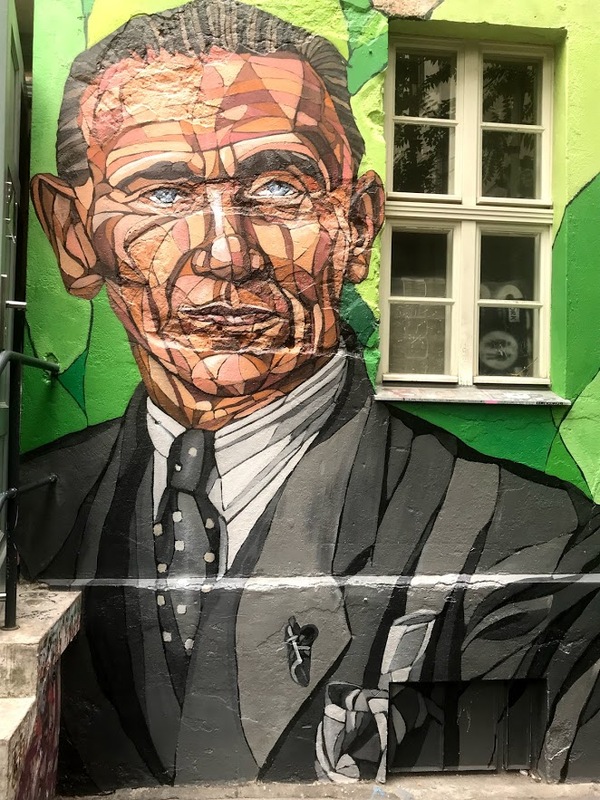 Otto Weidt is known as the ‘Schindler of Berlin.’ Before the war, he employed Jewish workers, many of them blind. Weidt was blind himself and used his profits to buy luxury goods to bribe Gestapo officers and save many of his workers. When the Gestapo arrested his Jewish workers in 1942, Weidt convinced the authorities to release some of them. He then hid these Jews in a back room until the end of the war, risking his own life to save theirs. 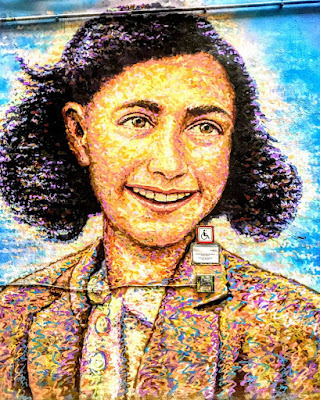 The Anne Frank Centre hosts a permanent exhibition on the Jewish girl who hid in a house in Amsterdam. The Silent Heroes Memorial Centre honours non-Jewish people who risked their lives to aid and rescue Jews. 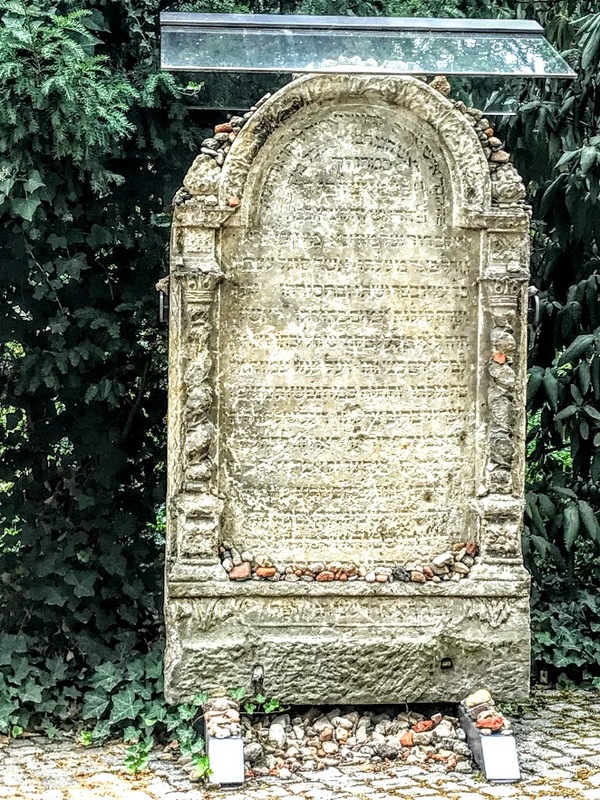 Grosse Hamburger strasse, linking August strasse and Oranienburger strasse, was once a tolerant street, with Jewish sites shoulder-to-shoulder with other religious institutions, including Saint Hedwig’s Catholic Hospital and the Protestant cemetery of the Sophien Church. 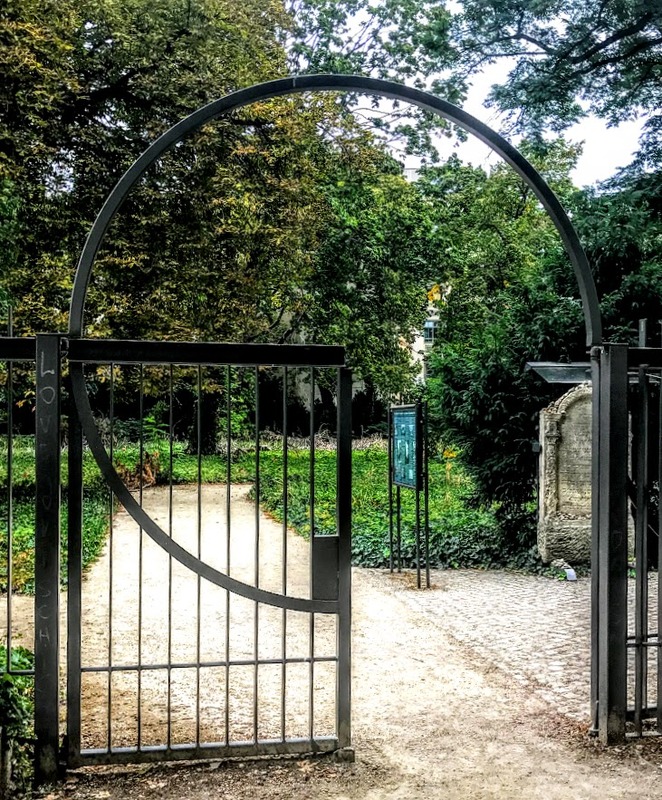 The former Jewish cemetery on Grosse Hamburger strasse, the oldest in Berlin, opened in 1671 and closed in 1827. 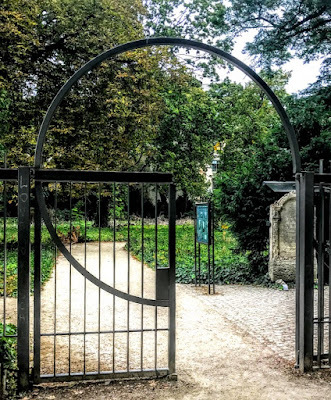 For more than a century and a half, it was Berlin’s only Jewish cemetery, and almost 3,000 people were buried there. The Gestapo ordered the destruction of the graves in 1943 and used the gravestones to shore up trenches dug on the site. 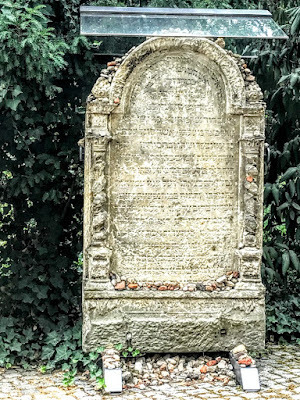 Among the few gravestones standing today is a reconstruction of the original grave of the philosopher Moses Mendelssohn (1729-1786), the leader of the Jewish enlightenment movement. 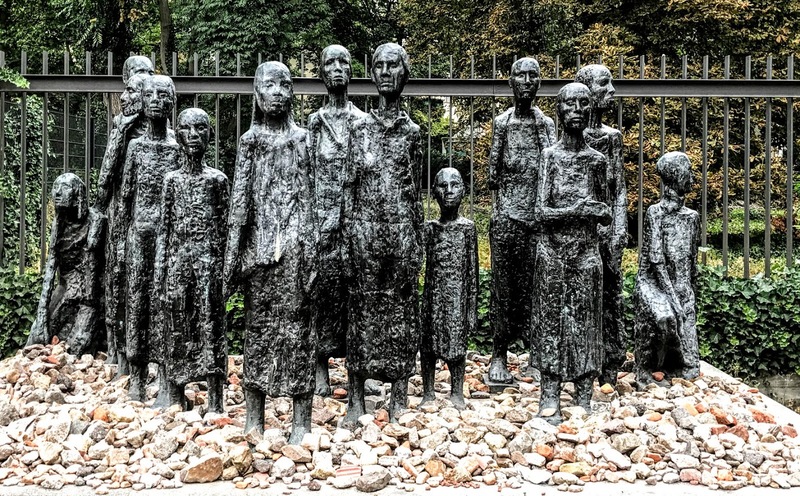 In front of the cemetery, a memorial sculpture of 13 figures representing the women of Ravensbruck was designed by Will Lammert and a memorial stone honours the deported Jews of Berlin. Further along the street, the Jewish Old People’s Home opened in 1844 and the former Jewish School for Boys was founded in 1862. Both were shut in 1942 and used as holding centres. From these two buildings, more than 55,000 Jews were held and then sent to their deaths in concentration camps. The Old People’s Home was destroyed, but the school reopened in 1993 as the Gymnasium Moses Mendelsohn and is now a co-educational school for Jewish and non-Jewish children. At first, Jews in Berlin who had married non-Jews were exempted from deportation to concentration camps. But this policy changed in early 1943 when the Nazis began ‘Operation Factory,’ targeting Jewish men in mixed-marriages. On 28 February 1943, between 1,500 and 2,500 Jewish men were taken to the Jewish Community Welfare Office on Rosenstrasse, near Berlin’s first synagogue at Heidereutergasse, dedicated in 1714. Fearing that the next step was deportation, the non-Jewish wives and relatives protested at the site. After five days of protests by the women, the men were released. The building where the men were held was destroyed, but a haunting memorial in a nearby park recalls these events. 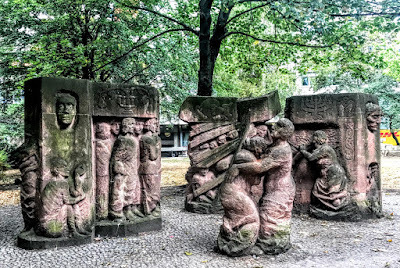 The sculpture Block der Frauen (‘Women’s Block’) was carved by Ingeborg Hunzinger and dedicated in 1995. 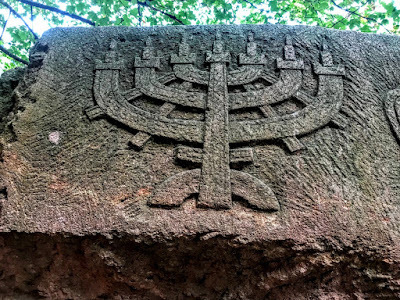 The symbols include the Menorah, the Lion of Judah, a bunch of grapes, and hands raised in the Jewish priestly blessing. Throughout Berlin, brass tiles no bigger than the palm of my hand are embedded in the footpaths. 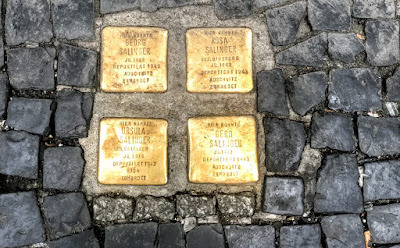 These Stolpersteine – ‘Stumbling Stones’ – are part of a project started in 1996 by the artist Gunther Demnig. 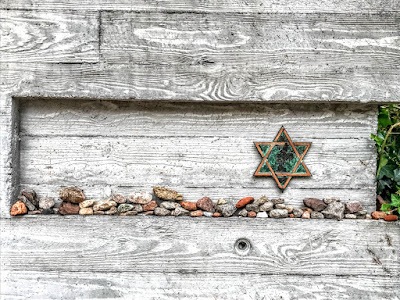 They bear the name, birthdate, deportation date and year and place of death of Jews killed in the Holocaust and are placed in front of the victims’ homes. There are now over 5,000 Stolpersteine in Berlin, and 38,000 throughout Europe. I was staying in the Spandau area in an old Jewish quarter that did not become part of Berlin officially until 1920. It still has its small-town charm, with sedate 19th century apartment buildings, lively side-streets, art galleries and cafés. 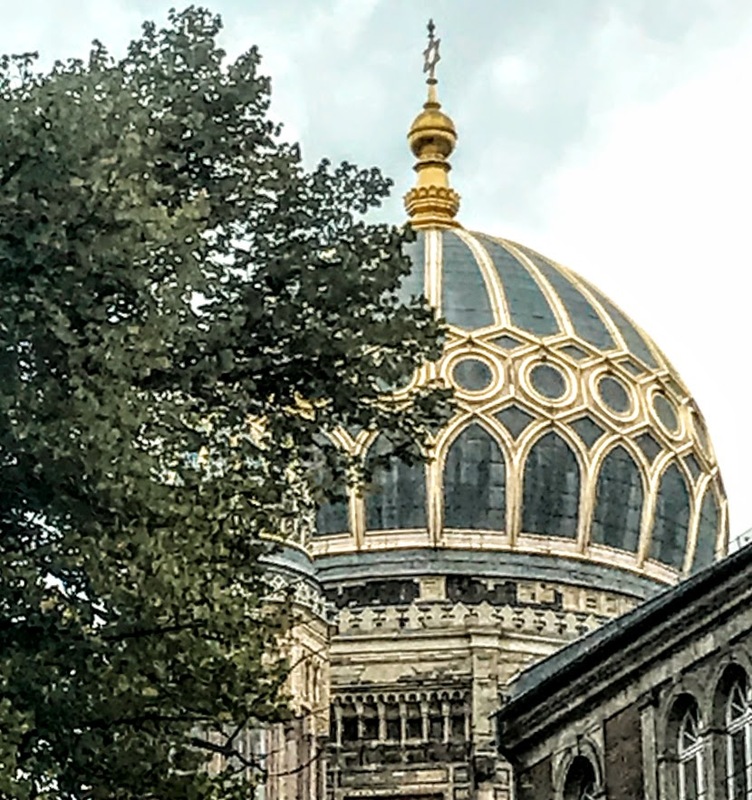 The view on every street and in every courtyard in this area seems to be dominated by the gilded cupola, domes and towers of New Synagogue. The heavily damaged New Synagogue was essentially demolished in 1958, except for the front façade and entrance. The Centrum Judaicum Foundation opened here in 1988 and the rebuilt New Synagogue opened in 1995 as a museum, cultural centre and community offices. The congregation in the New Synagogue today is Berlin’s only Masorti synagogue. Gesa Ederberg became the first female pulpit rabbi in Berlin in 2007 when she became the rabbi of the New Synagogue. 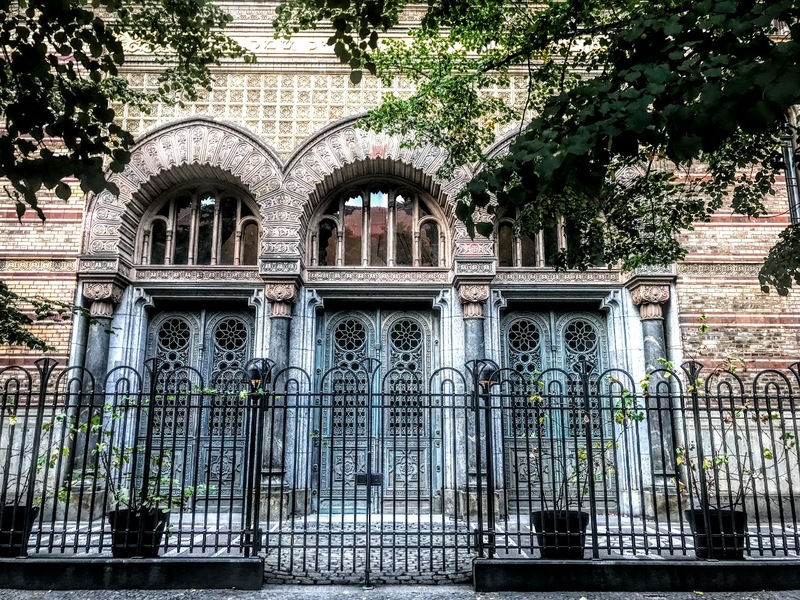 Today, there are 19 or so synagogues or Jewish houses of prayer in Berlin, compared with 94 synagogues in 1932. Most adhere to the Liberal rite, with a few Orthodox and reform synagogues. Synagogues outside the organised community including the Addass Yisroel Orthodox synagogue a few doors from where I was staying. 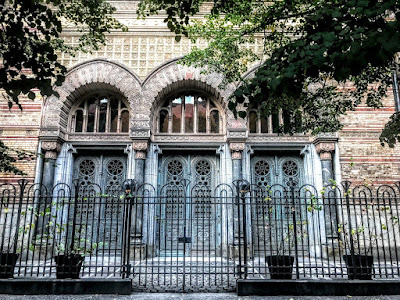 The Rykestrasse Synagogue, which opened in 1904, is the largest synagogue in Germany. It too survived Kristallnacht and reopened in July 1945 immediately after the war. The synagogue was fully restored in 2004 to mark its centenary. Berlin is home to the world’s fastest growing Jewish community, believed to number about 45,000 people. Initially, Berlin attracted Jews from the former Soviet Union. The community kept growing with the arrival of thousands of Israelis and smaller numbers of young immigrants from Australia, France, the US and elsewhere. This is a diverse and sometimes divided community, from ultra-Orthodox to various reform branches to non-believers. Since 2009, the Irish Embassy in Berlin has been located at 51 Jägerstrasse. The house was built in 1789 and once belonged to the Mendelssohn family, serving as their home and business premises. Daniel Anthony Binchy (1899-1989), who was the Irish minister (ambassador) in Germany in 1929-1932, wrote a paper for the Jesuit journal Studies in March 1933, warning of Hitler’s imminent rise to power and the threat he posed to Germany’s Jews and to peace in Europe. It was a prescient warning, and although it was largely ignored, his sharp analysis shows Europe knew the dangers Hitler posed six years before World War II. My generation may be the last to say we met and knew survivors of the Holocaust. 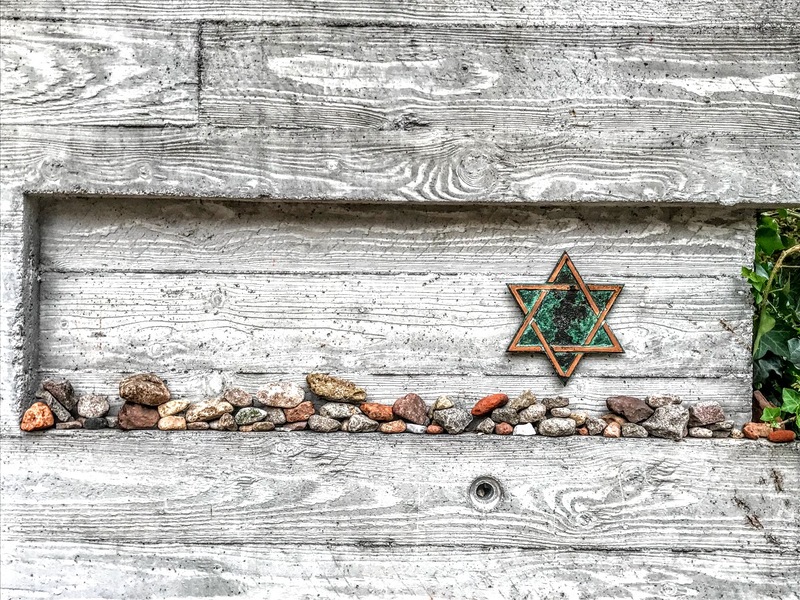 The anniversary of Kristallnacht this month is one opportunity to ensure their stories continue to be told and the memories are handed on to the generations that follow. 11.30 a.m.: Morning Prayer, Saint Brendan’s Church, Kilnaughtin (Tarbert), Co Kerry. Readings: Ruth 1: 1-18; Psalm 146; Hebrews 9: 11-14; Mark 12: 28-34. ● A woman who is an outsider, pushed to the margins, whose voice did not matter, but who becomes central to God’s plan for salvation; and a man who is very much an insider, and comes to grasp what is at the heart of God’s plan for salvation. ● One is a woman, whose name we know, the other a man who remains unnamed and anonymous. ● One makes a choice when it comes to her religion, and because of her faith and faithfulness is blessed in love; the other, a religious person, comes to realise that love is at the heart of the true choices demanded by his faith. Psalm 146 reminds us how God loves those who follow his ways, cares for the stranger in the land, looks after the orphan and the widow, and upsets the plans of the wicked. The story of Ruth is set ‘in the days when the judges ruled,’ before the institution of the monarchy. Because of a famine in Judah, Elimelech and his family become migrants and move to Moab, to the east of the Dead Sea. His two sons marry local women, but the men then die. Three widows are left powerless and destitute when news arrives that the famine is over. They set out to return to Judah, but Naomi suggests the other two women go back. Naomi has no more sons to marry Orpah and Ruth, who might be eligible husbands for her widowed daughters-in-law. But Ruth remains constant. Out of love and loyalty to her mother-in-law, Ruth travels back to Bethlehem with Naomi, while Orpah stays in Moab. When they arrive back in Judah, Naomi steers Ruth towards a relationship with a distant relative, Boaz. He marries Ruth, and she is rescued from the sad life she would face otherwise as a widow. Ruth abandons her home and her traditional religion, and she becomes a Jew by choice. Ruth is marked by her kindness and loyalty, she is a woman of integrity who maintains high morals, and she is a hard worker in the fields, gleaning leftover grain for Naomi and herself. Ruth’s deep love for Naomi was rewarded when Boaz marries Ruth and she finds love and security. Ruth’s life seems to be a series of timely coincidences, but this is a story about the providence of God, leading towards the birth of David, then from David to the birth of Jesus. She plays a key role in the unfolding of God’s plan for salvation and the coming of the promised Messiah. The Gentile ancestors of Jesus include Ruth. Ruth and Boaz are the parents of Obed, who is the father of Jesse, and Jesse fathers David, Israel’s greatest king. Ruth is one of only five women mentioned in the genealogy of Jesus, along with Tamar, Rahab, Bathsheba and Mary (see Matthew 1:1-16): all women on the margins and the outside, the sort of women people at the time might have been embarrassed to find on their family tree in some Biblical version of Who Do You Think You Are? Ruth becomes a strong female figure in the Old Testament, not only because she becomes the great-grandmother of David, but because of her humility and her kindness too. The setting for this morning’s Gospel reading (Mark 12: 28-34) is the Temple in Jerusalem. Christ is teaching in the Temple, where the Chief Priests, the Scribes and the elders have challenged his authority to teach (Mark 11: 27-33), where he has been challenged by some Pharisees and Herodians (Mark 12: 13-17), and where some Sadducees question him too (Mark 12: 18-27). Now it is the turn of a Scribe to have a go at him, this time a Scribe who has overheard all these questions, answers and arguments. He is impressed by Jesus’s answers and the way in which he has avoided falling into the traps. This Scribe has a question of his own, but he is asking genuinely without seeking to set another trap for Christ. The Scribes pay attention to the law and have intimate knowledge of its content. They are responsible for making copies of the law and teaching it to others (see Ezra 7: 6; Ezra 7: 10-12; Nehemiah 8: 1, 4, 9, 13). In New Testament times, the Scribes are usually Pharisees. They support but sometimes also supplement the written law with their traditions (see Matthew 23: 2). In the Gospels, the titles ‘scribes’ and ‘lawyers’ are often interchangeable (see Matthew 22: 35; Mark 12: 28; Luke 20: 39). They are teachers of the people (Mark 1: 22) and interpreters of the Law. They are widely respected because of their knowledge, dedication, and law-keeping. The Scribes act responsibly and seriously in their task of preserving Scripture, and they copy and recopy the Bible meticulously, even counting letters and spaces to ensure each copy is correct. But in the Gospels they are often charged with ignoring the spirit behind the Law, so their regulations and traditions added to the Law become more important than the Law itself. They know the Law and they teach it to others, but they do not always honour the spirit of the Law. The Scribe in this reading asks Jesus in the Temple, ‘Which commandment is the first of all?’ (Mark 12: 28). In Jewish law, there are 613 commandments, precepts or mitzvot. They include positive commandments, to perform an act (mitzvot aseh), and negative commandments, to abstain from certain acts (mitzvot lo taaseh). The negative commandments number 365, which coincides with the number of days in the solar year, and the positive commandments number 248, said to be the number of bones and main organs in the human body (Babylonian Talmud, Makkot 23b–24a). The number of tzitzit or knotted fringes of the tallit or prayer shawl worn by pious Jews at prayer is connected to the 613 commandments: the Hebrew numerical value of the word tzitzit is 600; each tassel has eight threads (when doubled over) and five sets of knots, totalling 13; the sum of these numbers is 613. 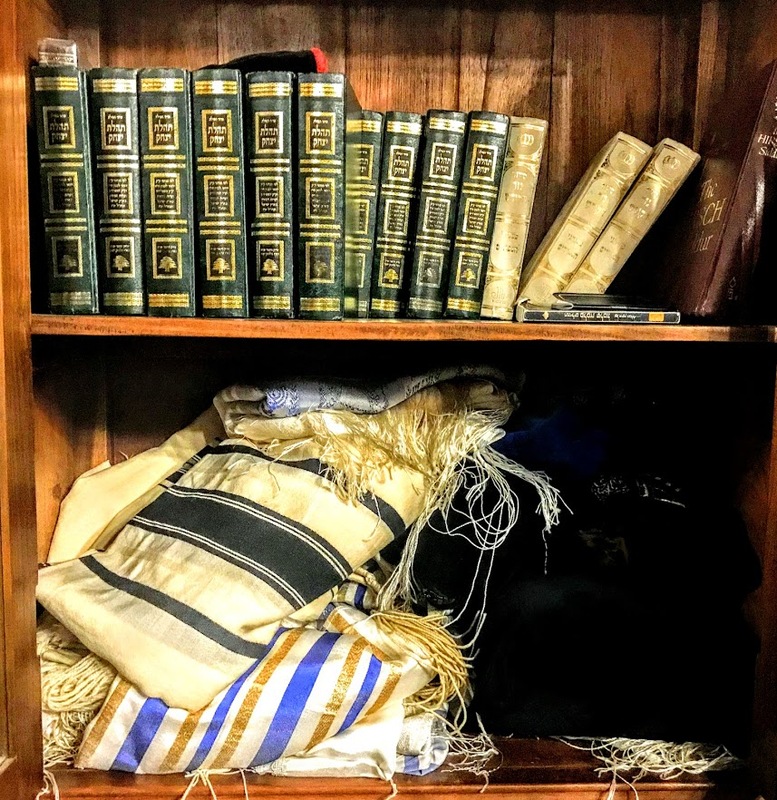 This reflects the idea that donning a tallit or prayer shawl with tzitzit reminds its wearer of all 613 Torah commandments. Later in this chapter, in the reading provided for next Sunday (Mark 12: 38-44), Christ refers to the fashion of the Scribes walking around in long robes (Mark 12: 38), perhaps a fashion for ostentatious prayer shawls that indicate a claim to observing each and every one of the 613 commandments. But this Scribe wants to know which of one of these 613 is the most important. In his reply, Christ offers not one but two commandments or laws. But neither is found in the Ten Commandments (see Exodus 20: 1-17 and Deuteronomy 5: 4-21). Instead, Christ steps outside the Ten Commandments and quotes from two other sections in the Bible (Deuteronomy 6: 4-5, Leviticus 19: 18). The first command Christ quotes is the shema, ‘Hear, O Israel, ...’ (verse 29), recited twice daily by pious Jews. The shema is composed from two separate passages in the Book Deuteronomy (Deuteronomy 6: 4-9, 11: 13-21), and to this day it is recited twice daily in Jewish practice. Christ links this first commandment to a second, ‘You shall love your neighbour as yourself’ (verse 31). Once again, he is not quoting from the Ten Commandments; instead, here he is quoting Leviticus (Leviticus 19: 18). Christ combines these two precepts into a moral principle, linked by love. But he is not the first, nor is he the last, to do this, and the combination is not unique for the Scribes or the Pharisees. Hillel the Elder (ca 110 BC to 10 AD), who was asked a similar question, cited this verse as the most important message of the Torah. Once, he was challenged by a gentile who asked to be converted if the Torah was explained to him while he stood on one foot. Drawing on Leviticus (Leviticus 19: 18), Hillel told the man: ‘Do not do to anyone else what is hateful to you: this is the whole Torah; the rest is the explanation; go and learn’ (Babylonian Talmud, Shabbath 31a). The Scribe agrees with Jesus and elaborates. Both precepts are much more important than all the burnt-offerings and sacrifices in the Temple (verses 32-33). For responding in this way, Christ tells this Scribe that he has answered wisely and is near the kingdom of God (verse 34). And that silenced everyone who was listening, and it put an end to the debates … for the moment. 1, Silent people, who are pushed to the margins, may have more to say about God, about truth, about love, and about the true meaning of religion if only we would allow them to move in from the margins and listen to what they have to say. 2, People who ask questions about religious values are not necessarily trying to upset our faith and beliefs. They may actually be calling us back to the core values. 3, Named or unnamed, male or female, insider or outsider, we each have a place and a part in God’s plans. Being open to love, especially to the love of others, is the key to finding ourselves in that place. 28 One of the scribes came near and heard them disputing with one another, and seeing that he answered them well, he asked him, ‘Which commandment is the first of all?’ 29 Jesus answered, ‘The first is, “Hear, O Israel: the Lord our God, the Lord is one; 30 you shall love the Lord your God with all your heart, and with all your soul, and with all your mind, and with all your strength.” 31 The second is this, “You shall love your neighbour as yourself.” There is no other commandment greater than these.’ 32 Then the scribe said to him, ‘You are right, Teacher; you have truly said that “he is one, and besides him there is no other”; 33 and “to love him with all the heart, and with all the understanding, and with all the strength”, and “to love one’s neighbour as oneself”, – this is much more important than all whole burnt-offerings and sacrifices.’ 34 When Jesus saw that he answered wisely, he said to him, ‘You are not far from the kingdom of God.’ After that no one dared to ask him any question. 9.30 a.m.: The Parish Eucharist (Holy Communion 2), Saint Mary’s Church, Askeaton, Co Limerick.